In November 2017, the Medicines and Healthcare products Regulatory Agency (MHRA), the body that regulates medicines in the United Kingdom (UK), announced that the treatment for erectile dysfunction, Viagra® (containing sildenafil), will be available without prescription in the UK. Men over 18 years, who have erectile dysfunction will be able to buy the medicine over the counter (OTC) from a pharmacy, but not from general sales outlets. This reclassification of Viagra® from a prescription-only medicine (POM) to an OTC medicine comes 15 years after it was launched as a POM and was the first oral medicine for the treatment of erectile dysfunction. Before we discuss how you will be able to obtain Viagra® OTC, it may be helpful to understand what the difference is between POM and OTC medicines and how they are regulated in the UK. 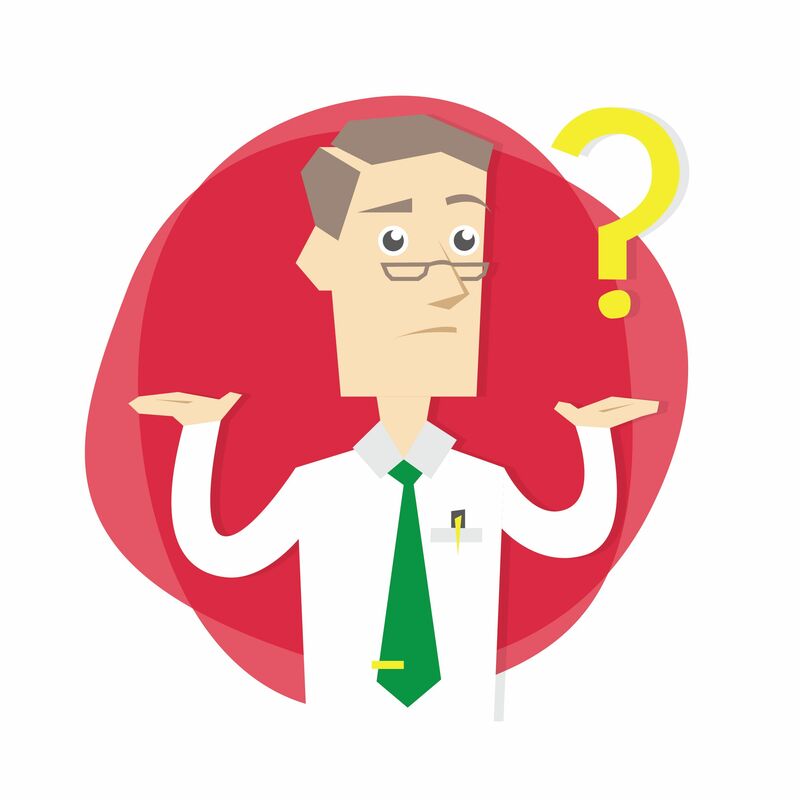 What is the difference between POM and OTC medicines? POMs are medicines that can only be obtained by getting a prescription from a qualified healthcare professional. This can be a qualified medical doctor, a dentist or, in the UK, an authorised prescriber, such as a pharmacist or nurse. POMs can only be dispensed from a pharmacy or other licensed outlet, such as an online pharmacy or a dispensing doctor’s surgery. Overall, POMs are used to treat conditions that should be diagnosed and managed by qualified healthcare professionals. OTC medicine is a general term used to describe medicines that can be bought without a prescription in pharmacies, as well as from other retail outlets such as supermarkets or online stores. They are sometimes also called non-prescription medicines. There are two types of the OTC medicines, which are classified according to the amount of control that is applied to their sale. The first type is called a pharmacy (P) medicine. This type of medicine can be bought only from pharmacies (including online pharmacies) and the sale must be made under the supervision of a pharmacist, i.e. the pharmacist must be present and approve the sale. Usually, pharmacy medicines are approved for the short-term treatment of medical conditions that the pharmacist and other trained staff can easily diagnose and that generally do not last long, e.g. diarrhoea, heartburn, etc. However, sometimes they can be used to treat chronic conditions, e.g. a migraine, allergies, etc. To prevent inappropriate use, pharmacy medicines are sold in packs with only a few doses – typically, a few days and, usually, up to two weeks, depending on the medicine. This is to ensure that patients are not harmed by inappropriate use and that they see their doctor if the treatment has not worked, or their symptoms get worse while they are taking the medicine. The second type of OTC medicine is referred to as a General Sales List (GSL) medicine. This type of medicine may be bought from a retail outlet such as a supermarket, a newsagent or a vending machine in a shop. GSL medicines are used to treat common conditions that patients can easily diagnose themselves and that last for only a few days. GSL medicines are, generally, available in packs with even fewer doses than found in pharmacy medicines, typically enough to treat a condition for only 2–3 days. Information in the pack will direct patients to seek advice from a healthcare professional if their symptoms do not improve or worsen within this time. The key differences between POMS and OTC medicines are summarised in the table below. How do prescription-only medicines get approved for OTC sale? The product is normally prescribed for parenteral administration (by injection). Usually, new medicines are classified as POMs when they are first licensed for public use. After a few years (usually 2–5 years), when there has been a wider experience of the medicine’s effectiveness and potential side effects, the manufacturer may apply to the MHRA to have the medicine reclassified as a non-prescription pharmacy-only or a GSL medicine. This reclassification process is also sometimes referred to as ‘switching’. Extensive clinical use indicating an acceptable level of side effects. Collecting evidence on the effectiveness and safety of the new OTC medicine. This evidence will be thoroughly reviewed by the MHRA, which will also consult with external expert committees, as well as other interested parties, including healthcare professionals and their professional bodies, public associations and people likely to be affected by the reclassification, along with members of the public. When the MHRA approves a medicine for reclassification, it may or may not have the same form and pack size as the original POM. In most cases, the pack size is smaller than the original POM and the conditions for which the non-prescription medicine may be used may be limited. What is the benefit of OTC medicines? With the seemingly unstoppable, growing demand for National Health Service (NHS) services, enabling patients to get access to healthcare for conditions that they can manage themselves, could help to ease the burden on the NHS. Almost 75% said that they self-medicate at least once a month. Making more OTC medicines available can go some way towards achieving both the goals of reducing dependence on and cost to the NHS, as well as empowering patients to take control of their healthcare. In a 2003 report, the World Health Organization (WHO) concluded that there is enough evidence to support the switch from POM to OTC medicine “where a drug is widely used and has proven safe over a sufficient period”, and that making it available other than by prescription will result in savings. What are the benefits of OTC Viagra®? As discussed above, in order to reclassify Viagra® from POM to OTC status, Pfizer, the manufacturer of Viagra®, had to submit information to show that Viagra® can be used safely by the public without prescription controls. 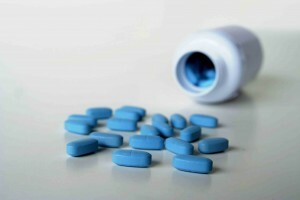 The MHRA expects that the introduction of OTC Viagra® will to help clamp down on unregulated sales. Because it will be available more widely, the hope is that men who might not otherwise seek help through the healthcare system will avoid the risks associated with buying Viagra® from illegal websites. The MHRA says that it has seized more than £50 million of unlicensed and counterfeit erectile dysfunction medicines over the past 5 years. What are the advantages of buying from Online Pharmacy like Assured Pharmacy? Ordering from an online pharmacy is also convenient. 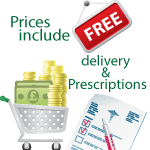 Online pharmacies often offer a wide range of products and strengths, as well as providing a quick, secure and reliable delivery service. Assured Pharmacy can offer you a higher quantity of tablets as well, OTC Viagra is limited to just 8 tablets. There is no embarrassing face-to-face consultation to deal with. Simply fill out the online questionnaire or call us to order. Who will be able to buy OTC Viagra®? Men 18 years and older with erectile dysfunction will be able to buy OTC Viagra®, after a discussion with a trained pharmacist. Pharmacists will assess whether treatment is appropriate for the patient and can give advice on erectile dysfunction, use of the medicine, potential side effects and if further consultation with a GP is necessary. Erectile dysfunction may be caused by cardiovascular disease, and, also, by psychological factors or alcohol use. The pharmacist will ask men who want to buy Viagra® questions to try to identify existing cardiovascular disease, signs of untreated depression and to check how much alcohol they drink. However, men who have erectile dysfunction due to psychological factors will not be prevented from buying Viagra®. 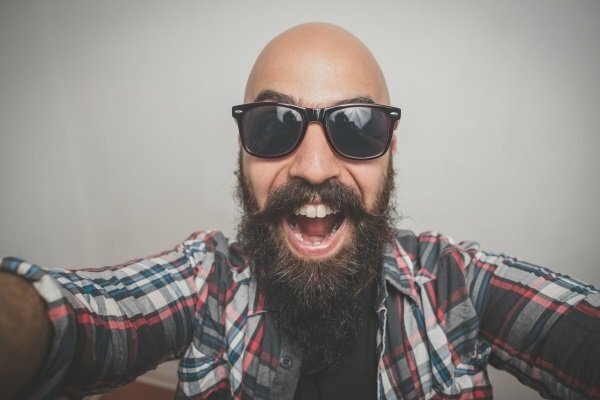 Similarly, patients with alcohol-related erectile dysfunction may still buy OTC Viagra®. It is important to note that excess alcohol may affect sexual performance, even if using Viagra®. The pharmacist may offer advice about lifestyle changes, e.g. about reducing stress and alcohol, and may also offer to counsel or refer men to the doctor. How the pharmacist will manage men who have cardiovascular disease is discussed below. Who cannot buy Viagra® OTC? As mentioned above, erectile dysfunction may be a symptom of cardiovascular disease. Men with severe cardiovascular conditions and risk factors will not be able to buy Viagra® OTC. Any men the pharmacist identifies through the consultation process as having these conditions will be told to consult their doctor. Furthermore, men with certain other conditions should not use Viagra®, i.e. those whose kidneys and liver do not work as well as they should, and those taking medicines that are known to interact with Viagra®. The product information for OTC Viagra® (including the patient information leaflet and pack label) clearly states that men with certain conditions and taking certain drugs should not take Viagra®. Will the drug be the same as the one I get from my doctor? The OTC version of Viagra® will be sold under the brand name of Viagra® Connect. It will contain a 50-mg tablet of sildenafil, the same ingredient found in the prescription version of the medicine. OTC Viagra® Connect will be available in a maximum pack size of 8 tablets. The POM version of Viagra® is available as 25-mg, 50-mg and 100-mg tablets and will continue to be available via prescription. Where can I buy Viagra® OTC? To prevent inappropriate use and to minimise the risk from side effects and drug interactions, Viagra® Connect will be available only as a pharmacy-only medicine from pharmacies and licensed outlets such as online pharmacies like Assured Pharmacy. This arrangement allows the pharmacist to intervene in the sale and ask the patient appropriate questions about their medical history and any medicines they are taking. The pharmacist will refer any men for whom Viagra® is inappropriate, to their doctor. To support pharmacists, Pfizer has produced pharmacy training and a checklist that pharmacists can use when supplying Viagra®. This is what you need to know about buying OTC Viagra® in the UK. The Medicines and Healthcare products Regulatory Agency (MHRA), the body that regulates medicines in the United Kingdom (UK), has approved the sale of Viagra® OTC without a prescription for the treatment of erectile dysfunction in men aged 18 years and over. This reclassification of Viagra® from a POM to an OTC medicine applies only to the version of the medicine with the brand name Viagra® Connect, which contains 50 mg of the active ingredient sildenafil. All other medicines containing sildenafil will still need a prescription from a doctor. Usually, new medicines are classified as POMs when they are first licensed for public use. After a few years, when they have been widely used and they have proved to be effective with no safety concerns, the manufacturer may apply to the MHRA to have the medicine reclassified for OTC sale. The manufacturer must prove that the medicine is likely to be used appropriately and that it will not cause harm to patients. The MHRA will thoroughly review the evidence submitted and will also consult with experts and other interested parties, including healthcare professionals, patients and the public. The MHRA expects that approving Viagra® Connect for OTC sale will to help clamp down on unregulated sales. Viagra® Connect will only be available from licenced pharmacies (including online pharmacies). Pharmacists will assess whether treatment is appropriate for the patient and can give advice on erectile dysfunction, use of the medicine and potential side effects. Some men with erectile dysfunction will not be able to buy Viagra OTC, i.e. those with severe cardiovascular conditions and risk factors, with kidneys and liver problems and those taking medicines that are known to interact with Viagra®. The pharmacist will direct these men to consult their doctor. Press release. MHRA reclassifies Viagra Connect tablets to a pharmacy medicine. https://www.gov.uk/government/news/mhra-reclassifies-viagra-connect-tablets-to-a-pharmacy-medicine. Accessed 18/12/2017. Medicines and Healthcare products Regulatory Agency. Guidance – Medicines: reclassify your product. https://www.gov.uk/guidance/medicines-reclassify-your-product. Accessed 18/12/2017. Differences between prescription and OTC medicines. org. http://www.consumermedsafety.org/the-basics/what-are-some-of-the-differences-between-prescription-medicine-and-over-the-counter-otc-medicine. Accessed 18/12/2017. Prescription Drugs and Over-the-Counter (OTC) Drugs: Questions and Answers. US Food and Drug Administration. https://www.fda.gov/Drugs/ResourcesForYou/Consumers/QuestionsAnswers/ucm100101.htm. Accessed 18/12/2017. Peter R Noyce. Chapter 10: Switching to non-prescription status. International Journal of Risk & Safety in Medicine 2002;15:97–99. In: Dukes MNG, et al. (Eds). Drugs and Money: Prices, affordability and cost containment. 7th IOS Press, Amsterdam, The Netherlands, on behalf of the World Health Organization 2003. http://apps.who.int/medicinedocs/pdf/s4912e/s4912e.pdf. Accessed 18/12/2017. Bond C. The over-the-counter pharmaceutical market – policy and practice. Eurohealth 2007;14(3):19–24. Bowman-Busato J, Pavlickova A. The Epposi Barometer: Consumer Perceptions of Self Care in Europe. Quantitative Study 2013. https://ehff.eu/wp-content/uploads/2013/11/8.-Epposi-Self-Care-Barometer-2013.pdf. Accessed 18/12/2017. Medicines and Healthcare products Regulatory Agency. Public Assessment Report Prescription only medicine to Pharmacy medicine Reclassification Viagra Connect 50mg film-coated tablets, Sildenafil citrate, PL 00165/0392 – 0001, Pfizer Consumer Healthcare Limited. 2017. https://www.gov.uk/government/uploads/system/uploads/attachment_data/file/662968/Viagra_Connect_POM_to_P_PAR_FINAL.pdf. Accessed 18/12/2017. ← What Are The Side Effects Of Cialis And Tadalafil?